You are here: Spring + Color! In the springtime we traveled to Japan and found inspiration everywhere. 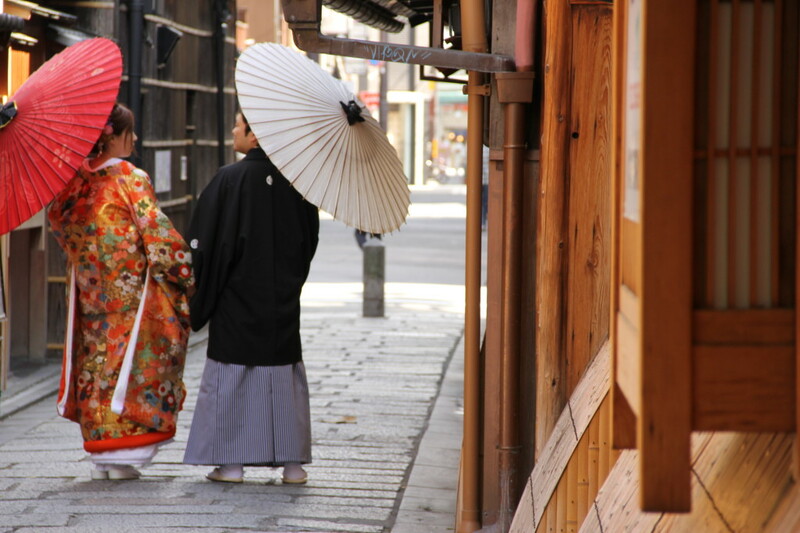 We enjoyed roaming around Kyoto, especially the neighborhoods of Gion and Shinbashi. In Shinbashi we strolled Shirakawa Minami-Dori, hailed as the most beautiful street in Asia. It was here that we captured images of countless newlywed couples dressed in traditional Japanese kimono. The vibrant colors and floral patterns are an inspiration. 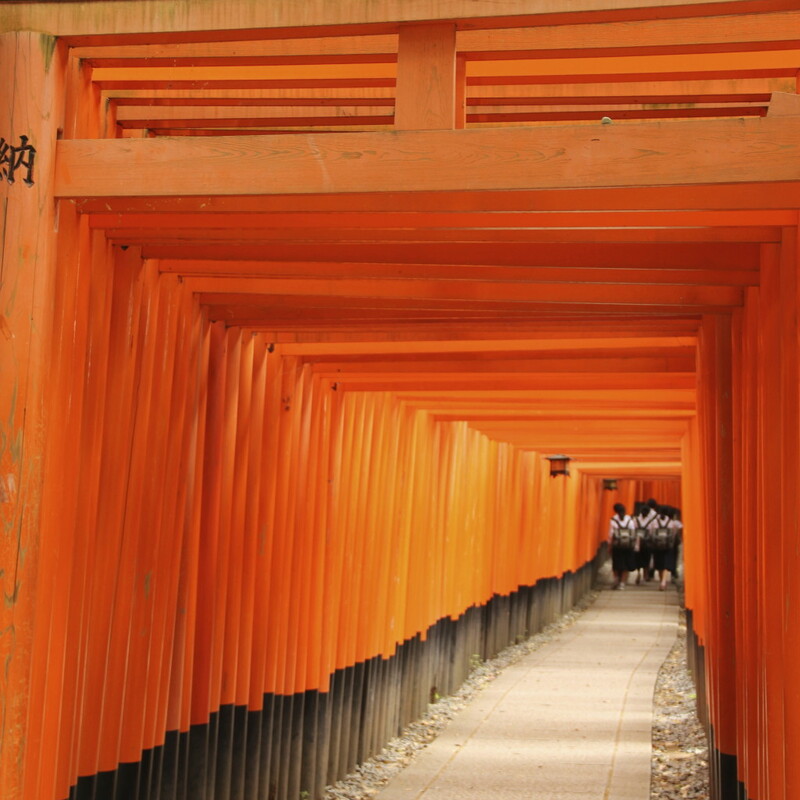 At the Fushimi Inari Taisha, a Shinto shrine, we meandered through thousands of torii gates and relished in the orange-red glow that surrounded us. 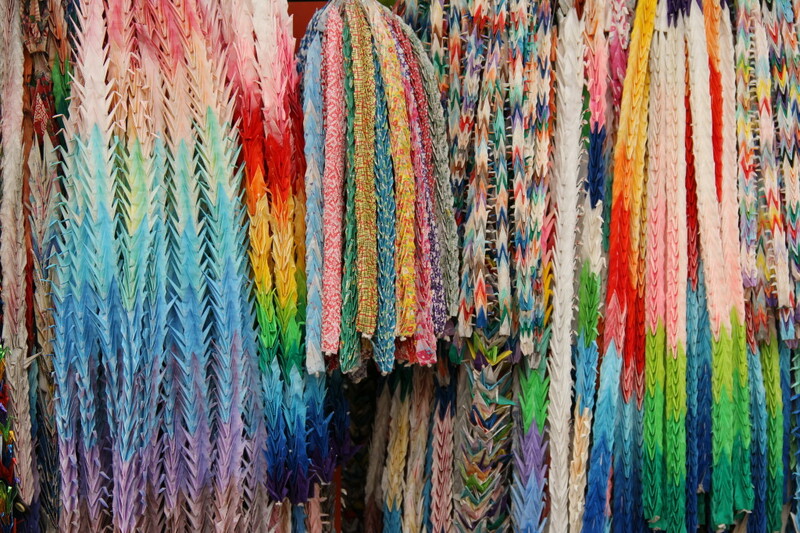 Tucked away in a small corner of the grounds is an entire wall of multi-colored paper cranes strung together. Talk about color! Osaka University of Arts glass program hosted us while we did a short workshop in the glassblowing studio and mold making facility. This art school is amazing – we were very impressed by the campus and the artwork of the instructors and student body. We then made our way north to the Kanaz Forest of Creation, where we did a two-day intensive glassblowing course at Ezra Glass Studio. The area is quiet, secluded and peaceful. Thank you to those who hosted us, treating us to heaps of delicious food along the way. Before heading back home from Tokyo, we meandered through the mountains and stopped in the Fuji Five Lakes region. When the clouds cleared we took in the breathtaking vistas of Mount Fuji. 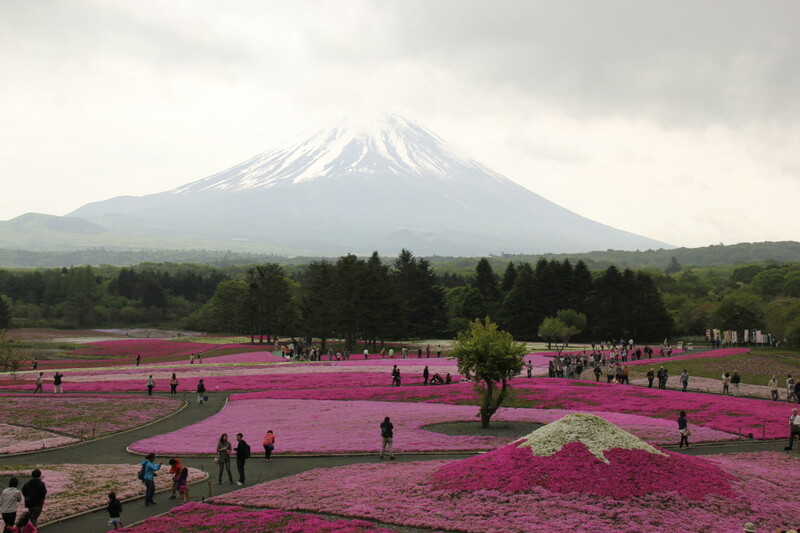 And although we missed cherry blossom season, we were able to experience the pink carpet of blooming moss phlox, known as shibazakura. The rolling hills of white, pink and fuchsia petals blanketed the landscape and will definitely be a source of inspiration the next time we are looking for a new shade of pink to ad to our line. Two Tone Studios creates contemporary designed hand blown glass objects with a nod to the past. Each unique design is handcrafted by husband and wife team Boyd Sugiki and Lisa Zerkowitz, who met as graduate students at the Rhode Island School of Design. The work they create includes decorative objects and tabletop items such as drink ware, bowls, vases, cake stands and covered dishes. Their designs blend clean simple lines with a fresh color palette to produce beautiful hand made objects that people can live with each day and enjoy fully. Inspired by mid century designs and colors, Sugiki and Zerkowitz collaborate on the process every step of the way. Each bringing their unique sensibilities into the work to create a collection that is both distinct and unique.